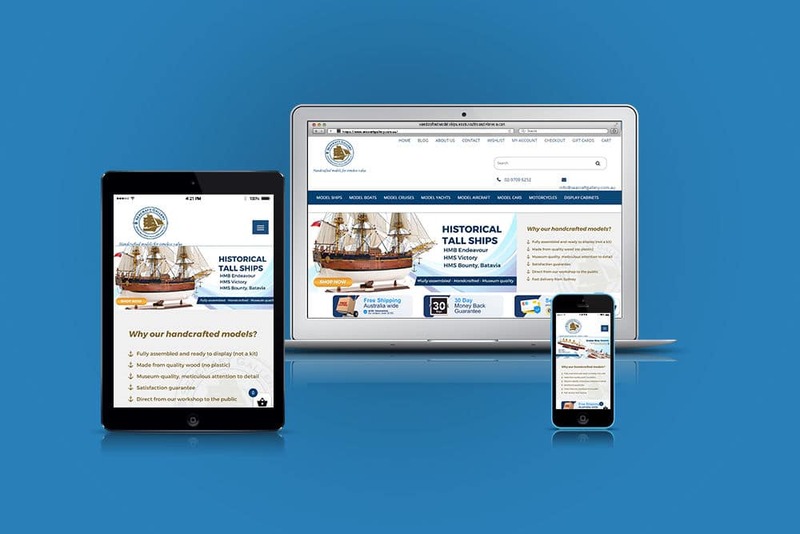 A representative of Seacraft Gallery came to me looking for a new website to replace an out of date site that used OpenCart and mobile-website tools. Seacraft’s team had specific design and user experience requests that couldn’t be achieved by simply buying a theme “off the shelf” – custom was the way to go. We used Salient theme as a starting point, but created heavy customizations to the theme’s header, footer, and all shopping related pages. The website offers a way to grow their customer mailing list and provide live support to those on the site via a chat support tool. When shopping on Seacraft Gallery, the cart is readily available on the sidebar of the page, allowing the customer to quickly change the contents of their cart, view their total, or checkout in just a few clicks. Sidebar cart/checkout tools are growing in popularity, and is even something we’ve seen Amazon in recent times (2018) experiment with. Their new website works great across a wide range of devices, and allows them to keep up with competition and web standards, while also giving them a strong platform to grow their business on.